So you’re considering buying an RV, or looking to buy another? Congratulations! Cruising across the states in a new RV is an awesome feeling. However, with such a big investment, you will want to make sure you do your research beforehand. We want to ensure you have the best RV buying experience possible. Below we will uncover eight RV buying mistakes to avoid so you make sure to buy the best RV for you. Let’s get started! The worst mistake you can make when purchasing an RV is buying one that doesn’t fit your needs. Buying on impulse can set you up for disaster. Purchasing an RV that is too big will result in wasted money while buying an RV that is too small will result in cramped living for the entire family. We can’t stress enough how important it is to do your research before you head to the RV dealership. Consider all of the possibilities before you make your purchase. You will thank yourself later! Paying attention to desired dimensions is something that many novice RV buyers overlook. Before you go shopping, you will want to make sure you know the dimensions of the RV you want. You may not know the exact measurements, and that’s fine; however, having a rough idea is better than nothing. Questions to ask yourself that can help you choose the right RV dimensions include: ~ What size living space am I comfortable with? ~ Will I or my family members need extra space for privacy? ~ How big of a lounge area do I want? ~ Do I want enough room for a big couch or chair? ~ Will I want an RV that has an expandable side room? ~ Where will I be driving my RV? ~ Will my routes include a lot of underpasses and bridges? 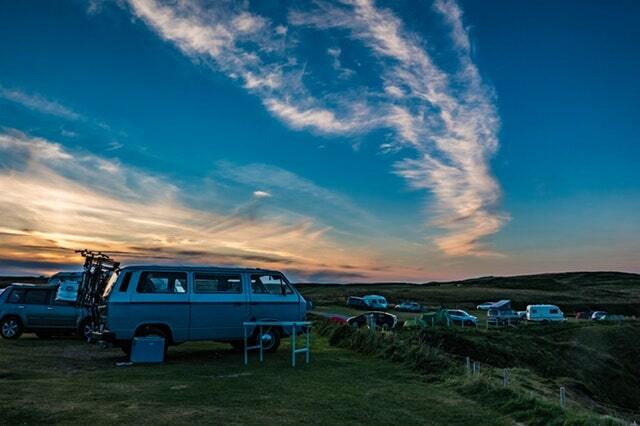 ~ What campsites or RV parks do I plan to go to, and what are their requirements? Before you even start your search for a new RV, you will want to determine if you’re going to buy a new or used RV. There are pros and cons for each option. Just like a new car, as soon as you drive off the lot, your RV will depreciate. With a used RV, the depreciation has already set in, which means you can usually snag a used RV for less. If peace of mind in the form of a warranty is important to you, it may be best to purchase a new RV. If a warranty is not a top priority for you, and you have time to shop around for an RV that meets your needs, a used RV may be the way to go. Make sure you get the RV you want to purchase inspected. Always ask the dealership to have their in-house mechanic give the RV a thorough inspection before you purchase it. If you plan to buy an RV from a private dealer, make an appointment with an independent mechanic to have it inspected. An inspection will help uncover any underlying issues you may not catch with the naked eye. Failing to have an inspection completed could result in a substantial monetary loss. Just like a car or truck, you will want to take the RV you are interested in for a test drive. Some dealerships won’t’ let you take their inventory out for test drives, but this shouldn’t deter you from requesting one. Denying a test drive could be an indication that something is wrong with the RV. Remember, you always have the power to walk away. The last thing you want to do is pull out of the low without knowing how your new RV works. Before you leave the dealership, ask the salesperson to go over how to use all of the systems. Make sure to ask lots of questions and voice any concerns you may have before you leave. Asking the right questions at the dealership can save you a lot of time and frustration. RV insurance differs from automobile insurance in a variety of ways. Therefore, it’s essential to pick the plan that best suits your needs. You don’t want to overpay for coverage you don’t need. Conversely, you don’t want to be stuck with too little coverage in the face of an accident. 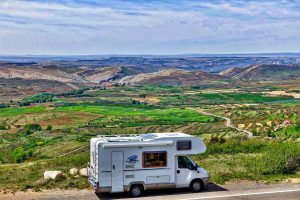 Most people require financing to help them purchase an RV. Picking the right financial partner is a critical step in your RV buying journey. At Launch FCU, we love to finance fun! We can help you fund your next adventure on the open road in a new RV. We offer loans for new and used RV with low rates, flexible loan terms, and affordable monthly payments. Apply online for your RV loan, or call a friendly Launch FCU Loan Specialist today at 321-456-5441..